One of the most fundamental skills of creativity is the ability to recognize an opportunity and seize it. You have countless opportunities to expand your creative thinking skills. Such opportunities present themselves daily at home, while driving to work, during meetings or lunch – or while just hanging out with friends. There’s really no shortage of opportunities to refine and develop your creativity. The most basic approach is to recognize that a problem Â may actually be a golden opportunity for a creative explosion – and seize the moment. It’s natural and necessary to make assumptions about the reality of our everyday world. We would otherwise spend all of our waking hours performing unnecessary mental analyzes of ordinary things. As a result, many times we see only what we expect to see. Our analysis of a situation or a problem is based entirely on assumptions based on our past experience or accepted knowledge. Plus assumptions can become so entrenched it doesn’t cross our mind to challenge them. A problem may arise simply because we perceive a situation or condition through a set of false assumptions preventing clear thinking. Challenging your assumptions is an important component of creativity. This allows you to look beyond what is obvious or already accepted. And it leads straight to the creative breakthroughs you’re looking for. Truly creative people in all fields of interest tend to automatically challenge both their own assumptions, and the commonly accepted knowledge about a problem. This mental attitude is the true source of all of the world’s great inventions and businesses. The moment you choose to challenge one of your assumptions as possibly untrue or incomplete,” you are on the way to discovering something new and different. A willingness to take risks is at the very heart of creativity. No creative person succeeds without first failing – as failures are part of the process of testing one’s assumptions. There is simply no creativity without failure. To experience major creative breakthroughs, it’s important to become comfortable taking risks. Each failure you encounter will actually supercharge your creativity by generating new information. If you’re unwilling to take risks and deal with what ordinary people call failure, then you cannot expect to become a great creative thinker. Modern neuroscience has shown that our brains are literally rewired each time we learn something new by making a mistake. The brain is designed to learn through the trial and error process. There are many tools used by creative thinkers to create such a fresh perspective, including: Brainstorming, MESV creative visualization, and various other means of considering the problem from a fresh vantage point. Additionally, a great way to kick start your creativity is to look at your problem from the vantage point of another profession. If you are a mechanical engineer, for example, how would an architect view your problem? Or if you are a product designer, how would an interior decorator approach your problem? This approach can lead to some remarkable creative breakthroughs. A touch of ambiguous thinking during the idea generation stage of the creative process has the power to bring out genius-level ideas. People who can think ambiguously are fluid and flexible thinkers. The ability to think ambiguously can yield amazing creative insights. This is ability is experienced (and built) when you indulge in wordplay or humour. Creative thinking best occurs when your brain is in certain states called alpha and theta. You are in an alpha/theta state when your brain is producing a predominance of slower brain-waves, as opposed to the faster beta brain-waves associated with normal waking consciousness. Alpha /theta brain-waves are the reason many people have creative ah-ha experiences during a nap, a stroll, or some other mentally-relaxing activity. But consciously entering into an alpha/theta state can be a challenge. Meditators spend years learning to initiate this state on will, but modern technology has introduced a much faster method of building alpha/theta expertise – Self Growth Planet. Be sure to check it out – your creativity will never be the same. Incidentally, a great side benefit of entering into the alpha/theta brain-wave state is virtually instant stress reduction. Years of research shows that some very interesting changes in brainwave frequencies occur as people move toward higher states of mental awareness. And because such awareness shifts often occur to meditators, it is useful to review the brainwave states experienced by meditators. Beta brainwaves range from 12 to about 30 on-off cycles per second (cps), and are associated with active thinking, speaking, and analyzing. As such, the meditator must quiet their Beta brainwaves to successfully enter into a meditative state. When brainwave activity is focused primarily within the 8 to 11.9 cps range, Alpha brainwaves are produced if you are relaxed and your eyes are closed. When your brain is generating strong Alpha brainwaves, you tend to experience a pleasant, and mildly relaxed, yet wakeful, state of awareness. The deeper the Alpha state, the more likely a meditator will experience visual imagery behind their closed eyes. Such a deeper Alpha state is often associated with increased activity in the lower Alpha brainwave range. When an EEG is used to measure Alpha brainwaves, it is seen that they occur both in bursts (trains of waves) and pulses (single waves.) More advanced meditators tend to produce continuous trains of Alpha waves. Research has revealed that persons such as artists who tend to use the visual and spatial abilities characteristic of the right-brain tend to produce Alpha more easily than more analytical, left-brain thinkers. It is often possible to determine whether or not a person meditates, and also how long they have been practicing, by simply looking at their Alpha brainwaves. Beginning meditators usually produce faster 10 to 12 cps Alpha brainwaves. But the dominant Alpha frequency deepens with longer meditation practice, and meditators with ten years of experience produce lower Alpha in the 8 to 9 cps frequency range that borders their deeper Theta brainwaves. Theta brainwaves occur in the 4 to 7.9 cps frequency range. To the non-meditator, Theta is primarily experienced as the mental state just prior to dropping off to sleep, and also REM (rapid eye movement) sleep. But to the experienced meditator with a well-established Alpha state, Theta is often characterized by a peaceful sense of bliss and well-being marked by spontaneous creativity and deeply meaningful personal or transcendental imagery. Delta brainwaves are the slowest brainwaves, and range from 0 to about 3.9 cps. The Delta state is normally primarily associated with deep sleep, although many interesting mental states occur in Delta to those tuned into these lower brainwaves on a conscious level. Generally only the most advanced meditators can remain awake while producing Delta brainwaves. But some non-meditators also produce strong Delta states. Persons with natural ESP abilities, for example, are often able to focus consciously in the 3.8 to 3.9 cps range. And those with psychic abilities or deep intuition also tend to have more active Delta brainwaves. Gamma brainwaves are the fastest brainwave frequencies that have been commonly studied. Gamma brainwaves range from about 28 to 80+ cycles-per-second cps. Each cycle consists of an on peak, and an off valley. Until recently, Gamma brainwaves were believed to be primarily present during highly focused mental activities or stress. But studies of expert meditators such as Tibetan Buddhist monks has shown that Gamma brainwaves in the 40 cps range are indicative of what experienced meditators describe as higher states mental clarity and insights. For most people however, these potentially valuable high frequency Gamma brainwaves have little or nothing to do with higher states, and are more often only present during extreme stress. EXPERIENCE INSTANT DEEP MEDITATION. The average meditator spends up to ten years learning how to enter the deep meditation leading to higher states of consciousness. Come explore the web’s first and most complete brainwave training gym. It is as close as your computer, and cn take you all the way from initial Alpha relaxation straight into advanced higher states experiences. 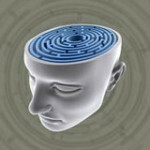 synchronize your own brainwaves to create almost any state of mind or feeling you desire. Click here to learn more. Increase your mental focus and you can: (1) Permanently overcome negative thoughts, (2) Eliminate distracting negative memories, and (3) Experience laser-sharp mental clarity=> Show Me How!